Decorate to Celebrate macrame craft booklet. Jane Berry. 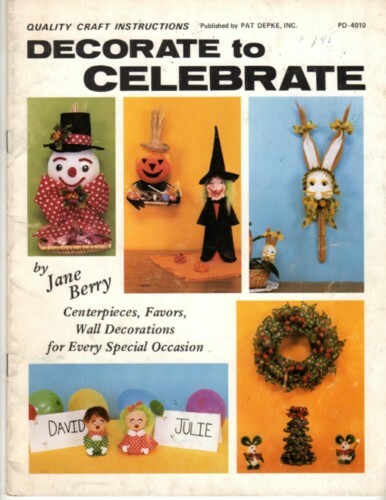 Centerpeices, Wall Decorations, and Favors for every special occasion. This vintage booklet appears to be in new condition. Price tag on cover. 28 pages.